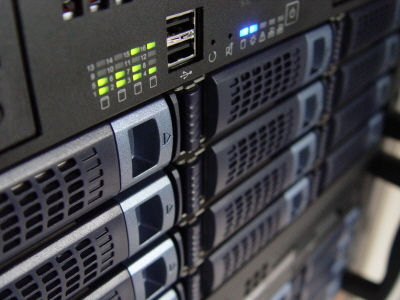 A web host is a service provider that places your web site on a computer which is connected to the internet. The term for this computer' is called a server. Control Panel Control Panel is an interface where you can access your site on the web server, allowing you to set-up and subsequently update and customize your web site. Though cPanel is by far the most popular control panel, some hosting providers customize their own so that they can up-grade and expand it at will. Diskspace A vast majority of sites that don't have tons of graphics, sound and video clips or downloadable files easily fit in 50 MB of disk space. You should always leave yourself some room for growth or check if the host has a bigger plan in case you need to upgrade. Bandwidth Bandwidth is the amount of data transmitted or received through a unit of time. In web hosting, bandwidth is consumed when visitors make requests for files on your web site and download them to their personal computers. Email Account With POP3 email accounts you can check email from Outlook, Netscape Mail, Eudora or any other Email software. Scripting language As all our top 10 listings are using Unix and Linux platform, php, perl and CGI are the languages we are talking about here. It is best to choose a host that supports the latest version to maximize the latest web technologies for the fee that you pay. Database If your web site is going to store a lot of data that should be dynamically accessible (like user accounts, stock prices, maps, Interactive news, message boards and forum etc. ), you'll need to look for an account that offers a database. MySQL is a powerful and most popular database program that runs on the Linux operation system. It is able to handle million of entries all at once. Its flexibility and speed allow you to also store logs and pictures. MySQL is designed to scale well under heavy traffic conditions and is ideal for database-intensive or e-commerce-enabled Web sites. How big is the knowledge base? This is particularly important for those who want to search for quick answer without seeking direct assistance from customer support staff. Due to the huge database, normally it's searchable. Some web hosting providers will even make your life easier by making a video tutorial guiding you step by step in setting up your new account. Very useful for beginner.